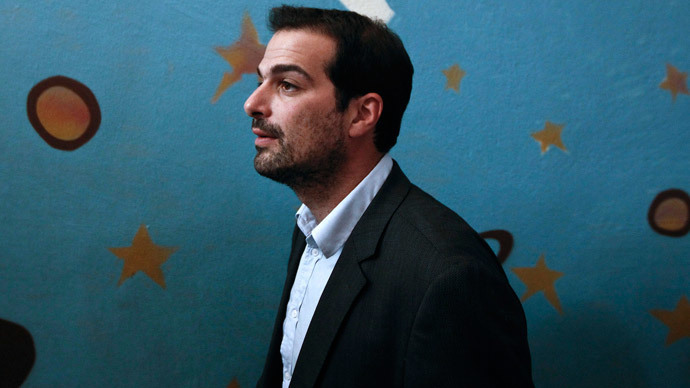 “A deal is required immediately, this is why we are talking about the end of May, to resolve these critical liquidity issues," Sakellaridis told reporters in Athens on Monday. He ruled out a levy on bank deposits to raise cash and said the government would not sign a third bailout program. Sakellaridis also denied any plans to raise the retirement age as a concession. The Greek government’s spokesman said it will insist on avoiding wage and pension cuts, having a strong economic growth plan, a low primary surplus target and debt restructuring as elements of a comprehensive deal with lenders. "We are not putting red lines because we have a fetish about these red lines. We think they are necessary elements of a deal so that we don't once again have the problems of the past." Greece has to make a payment of €1.5 billion to the International Monetary Fund (IMF) on 5 June. Last week the country raided its International Monetary Fund reserves for a €750 million debt payment to the IMF. Greek Finance Minister Yanis Varoufakis then warned that the country could default next month if the liquidity issue is not resolved. Athens owes more than €320 billion to its external creditors, and is counting to get a €7.2 billion International Monetary Fund loan installment by the end of month. The Troika of lenders wants the country to agree on a series of economic reforms to get the final aid package. Greece and its creditors failed to reach any agreement during the Eurogroup’s meeting in Brussels last week. Sakellaridis then said it was not the last meeting and the parties still had to do a lot to reach a final agreement. European shares fell on Monday and stocks traded lower on growing fears that Greece is on the verge of bankruptcy.